Safety - KE&G Construction, Inc.
"Safety is a priority and it is embedded in our Culture." To continuously reinforce these core values, KE&G’s full-time Safety Manager’s sole job is to teach, review and maintain safety in all aspects for KE&G. 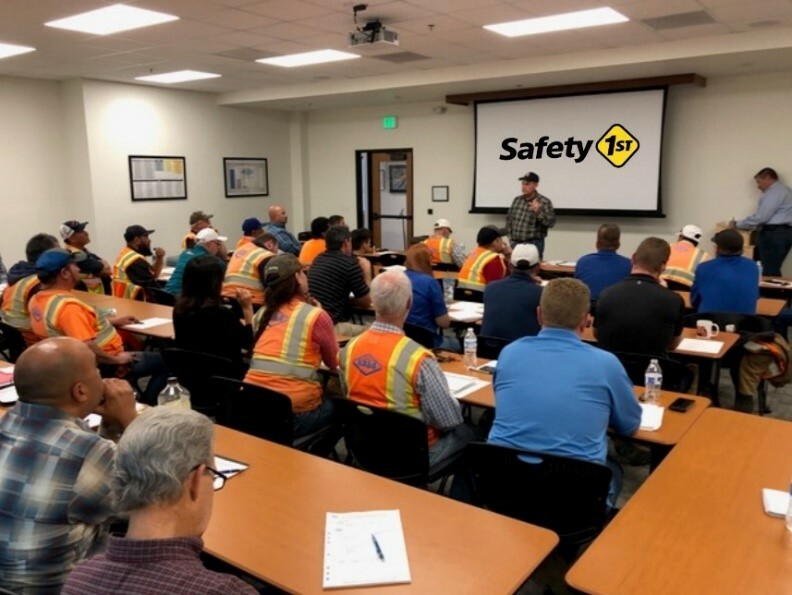 This includes conducting monthly supervisor safety meetings for all supervisory personnel to review our collective performance and discuss how we can improve. All Superintendents, Foreman, Field Engineers, and Project Managers have been trained in the Storm Water Pollution Prevention Plan (SWPPP) principles. The SWPPP Coordinator at KE&G inspects all of our job sites every week to ensure that every site maintains the highest level of environmental protection. The Best Management Practices (BMPs) that KE&G uses in its SWPPP plans have been selected for their reduced environmental impact. KE&G also makes every possible attempt to “tread lightly” on job sites and to minimize the amount of destruction caused to the habitats surrounding job sites. When KE&G decided to implement a behaviorally based safety observation program, our first step was to develop a safety strategy that included identifying safety behaviors, as well as hazard recognition and incorporate them into our company’s safety policies and procedures to take our safety performance to the next level. KE&G’s safety program includes a safety committee and a safety incentive program to promote safety, which has resulted in a positive safety culture for the company and its employees. KE&G strongly believes that every employee is entitled to a safe and healthful place in which to work. We have a moral obligation to our employees, our clients, and the public to perform our construction projects in the safest manner possible.